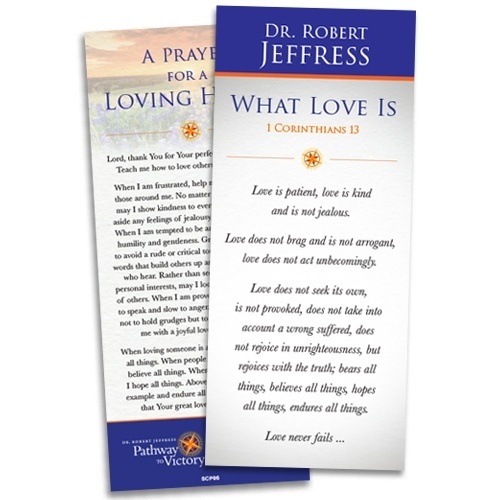 Perfect to place in your Bible, on your fridge, or on your desk at work, this encouragement card helpful reminder of what the apostle Paul wrote in 1 Corinthians 13 about the true nature of love. Plus, the encouragement card includes A Prayer for a Loving Heart — written to help you develop a loving and forgiving heart. Please fill out the form below to request your free resource today, and we will mail it to you! Fill out the form below to request your free prayer card now! Unfortunately, this offer is expired. We apologize for the inconvenience.